Yoga practice in the teenage years is so much more than an exercise program. Yes, it provides an energy outlet and a way to build muscle and flexibility — both important in their own right. But Yoga practice also provides you with an entry point for a healthful and balanced perspective on life and themselves that can serve for a lifetime. The following sections describe some benefits Yoga can offer teens. 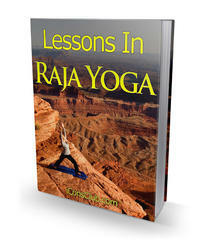 The lessons of Yoga aren't confined to the Yoga mat or the body. The skills and understanding acquired through Yoga practice help children of all ages, including teens, approach life in a more grounded, centered, and emotionally intelligent way. When presented as an exploration, traditional Yoga themes such as the practice of ahimsa, or non-harming (see Chapter 20), can be translated into simple, practical distinctions, such as the difference between force and finesse. Take the simple exercise of untying a knot: By using finesse rather than force, a child learns through his own experience which is the better way. This awareness applied to Yoga poses and balance allows a child to recognize which feels best in his own body; applied to personal relationships, it illustrates the better way to get along with the people in his life. You don't need to be a Yoga teacher to bring this often-neglected aspect of learning into the classroom. Classroom teachers can learn to lead children through basic poses and routines to enhance their ability to learn throughout the day — for instance, morning sun salutations (see Chapter 14) to energize and focus their energy; balancing poses (see Chapter 9) after recess to regroup for academics; alternate nostril breathing (see Chapter 5) in a comfortable seated pose (see Chapter 7) or a simple forward bend (see Chapter 12) to help calm the mind as a prelude to creative writing. The list goes on. To date, over 1,000 schools have integrated Yoga techniques into their curricula through the training and materials available through Yoga Playgrounds and Yoga Ed, both developed by Leah Kalish.